Over the past 40 years, and particularly since the expansion of Australian Government recurrent funding for both government and non-government schools following the recommendations of the ‘Karmel Report’, Schools in Australia: report of the Interim Committee for the Australian Schools Commission (1973), the Independent school sector’s share of Australian full-time (FT) enrolments has grown from 4.1 per cent in 1970 to 14.7 per cent in 2018. This rate of growth has slowed in recent years. Note: The ABS classifies independent Catholic schools as Catholic, rather than Independent. In the last decade, the average annual increase in full-time enrolments in the Independent sector, at 1.8 per cent, has consistently exceeded the average growth at Catholic systemic (0.9 per cent) and government (1.2 per cent) schools. The rate of growth in the Independent sector has been progressively slowing, although in recent years has increased again from a low 1.3 per cent increase between 2015 and 2016. This growth in full-time enrolments has occurred in all states and territories, with the strongest rates of growth in the Australian Capital Territory (2.3 per cent), New South Wales (2.1 per cent) and Victoria (2.0 per cent). The highest rates of enrolment growth have been experienced by the larger schools in the sector, schools with enrolments of more than 1000 students. The average annual rate of growth for these schools was around 2.6 per cent, accounting for about 80 per cent of the sector’s total growth between 2008 and 2018. 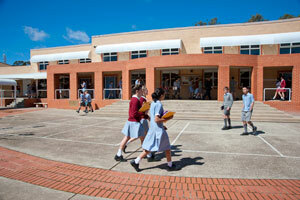 Smaller schools, with fewer than 250 students, have been experiencing a lower rate of enrolment growth. Enrolments in smaller schools have decreased from a peak of over 50,400 students in 2007 to less than 47,200 students in 2017. As a result of Australia’s declining birth rate, the Independent school sector is expected to continue to grow, but at a slower rate, over the coming years. Projections by the Australian Bureau of Statistics indicate that the Australian school population as a whole will continue to grow, but will represent a smaller proportion of the total population over this century. Enrolments in Independent schools will be influenced by the education and funding policies of governments as well as national and local social and economic development. *Based on average school size by sector for 2017 derived from ABS schools data.